On the DiveBuddy.com Mobile Site, you can now view new buddy requests. When you log into the mobile site, you will see an alert towards the top if you have new buddy requests that need to be accepted. 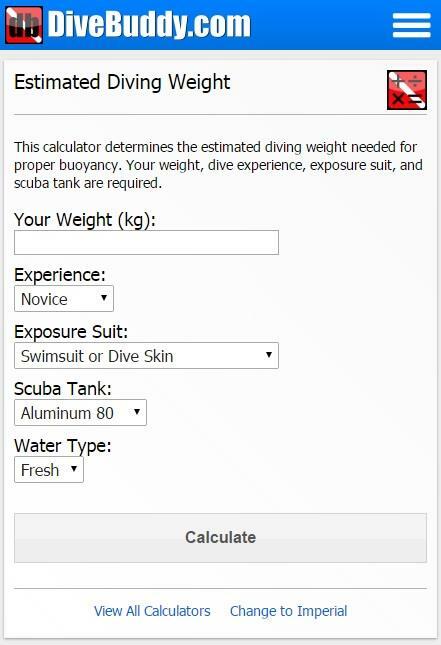 Also, the scuba calculators have been added to the mobile site. Click the top right menu icon in the mobile site to see a link to the calculators. Please try these calculators from your mobile device and let me know what you think. Enjoy! Thanks Greg, It’s much appreciated. Keep up the awesome work. Nice update, the scuba calculator will come in handy.